United Continental's CEO and two other executives are out following a company investigation related to an ongoing federal probe of alleged favor trading. The abrupt departures were announced Tuesday amid a U.S. Department of Justice probe of the Port Authority of New York and New Jersey. The airline said it is cooperating with the investigation. 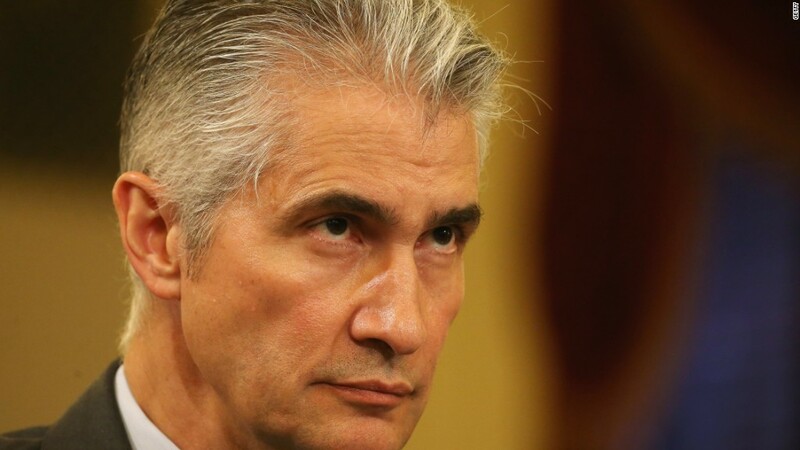 Jeff Smisek, the company's CEO and chairman, will walk away with a $4.8 million "separation payment," according to the company. He was paid $12.7 million in 2014. United (UAL) disclosed in February that a grand jury had subpoenaed information from its executive officers. The federal probe connected to the ousters of the executives is an outgrowth of the Chris Christie "Bridgegate" investigation, according to U.S. law enforcement officials. Both the FBI and U.S. Attorney's Office in Newark, New Jersey, have been investigating David Samson, the former chairman of the Port Authority. Among the allegations being investigated are that Samson used his position to get United to start a flight from Newark to South Carolina -- which was convenient to a home he owned. United allegedly agreed to the request to curry favor with Samson and the Port Authority. The Port Authority, an agency of New York and New Jersey, operates major public transportation routes in the two states including Newark Airport, a United hub. Samson, an ally of Christie, stepped down from the Port Authority in March 2014 amid fallout over Bridgegate. Critics said aides for Christie -- now a contender for the 2016 Republican presidential nomination -- ordered the closure of George Washington Bridge lanes as retribution against a Democrat who didn't endorse Christie's reelection as governor in 2013. United said Oscar Munoz, who headed the transportation company CSX Corporation (CSX), will replace Smisek as the company's president and CEO, and a public filing submitted Tuesday said the terms of his compensation "have not yet been finalized." During a conference call Tuesday, analysts asked how the new leadership will deal with turmoil at the company -- citing concerns about employee morale and public image following a computer problem that grounded United flights worldwide for a day July. But Munoz did not answer specific questions about how he would address technology issues. CSX is primarily involved in railroad shipping. Munoz said he is well-equipped for his new job because the railroad industry "has a lot of parallels," including heavy government oversight and an organized labor force.